Home>>The Rest>>Morgan Academy>>Autobiographies>Sandra Murray<You are here. 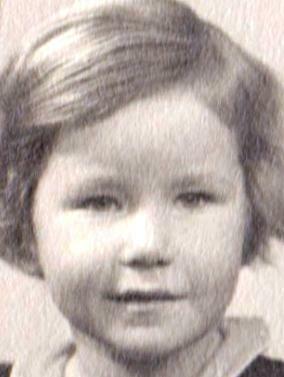 I started school in February 1941 at Rockwell Primary. In 1948 we moved house to just behind the Morgan. I’d been ready to go to the Harris, but my Dad said go to the Morgan. At class allocation I was left in the hall and asked who I was. A great start. However I enjoyed my 5 years and went to work at the Dundee Savings Bank in July 1953. 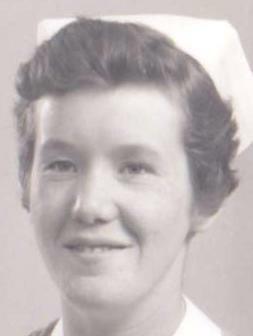 I managed to persuade my mother that I would survive a nurse’s training and started at DRI in January 1955. I qualified as RGN in 1958 and spent a further year at Ashludie for a chest certificate, which came in very handy. I married Bob Haworth in 1959 - from Lancashire, Bob had just completed an engineering degree at Queen's College. We immediately went to London where Bob did his graduate apprenticeship. I found work as a staff nurse in Grove Park Chest Hospital. We moved to Cambridge in 1961 when Bob joined Air Ministry. 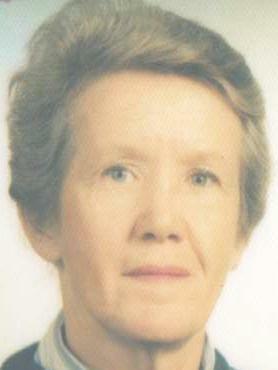 I had two jobs, a District Nurse and night sister in the infectious diseases hospital. Bob’s job took us to Aden for 2 years and I was sister in Outpatients at the RAF Hospital, Steamer Point. Alistair arrived in August ’64. Back to London and childcare until 1968 when we went to Hannover. I was not fluent enough in the German I’d learned at school to be able to work in a hospital, so I took my second office job, in the Railways Liaison Office. This was run by the British Army and was responsible for the daily train travelling through East Germany to West Berlin, and troop movements in West Germany. In 1971 we were back in U.K. Bob was Resident Works Engineer at Fylingdales and we lived in an RAF quarter in Whitby, with a gate on to the golf course. There was no work for me. After some time I enrolled in a course at Scarborough Tech. It was entitled ‘Fashion’ but was pattern cutting. Two years later I got a job with the local theatre as wardrobe mistress, making costumes for various productions from the designer’s drawings. I enjoyed this very much, working on ‘Ten Times Table’, one of Alan Ayckbourne’s lesser known plays. In 1977 Bob got leave of absence for 5 years and we moved to Hong Kong. With a change of needle I joined HK Red Cross, the Blood Transfusion Service. This entailed taking blood from anyone who would give it, school children, office workers, Ghurkas, recovering drug addicts and convicted criminals in Stanley Prison. Doctors didn’t travel with us, our groups were made up of registered nurses, Chinese and expats and young Chinese staff who were the donor attendants and drivers. We had a number of static centres, a bus and plenty variety. We travelled widely in the Far East and returned to London again in 1982. I took a post with S.W. Thames R.H.A. Blood Transfusion Service as Nursing Officer based at Tooting. We collected blood in South London, Surrey, Sussex and West Kent. I retired in 1989. When Bob retired we moved back to Dundee in 1997, a great place to live. Our son Alistair still lives in London, married but without children, and working as a Quantity Surveyor. I now do voluntary work, play golf, walk with Broughty Ferry Ramblers and enjoy life.